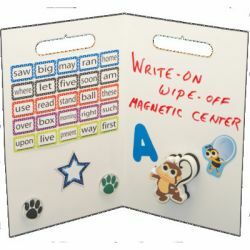 Perfect for centers, game boards, portable magnetic whiteboards, and more! Includes 4 magnetic panels with write-on, wipe-off surface. 18" x 14".